Most caregivers experience burnout eventually. They start feeling hopeless and withdraw from friends. Perhaps their sleep patterns change or they start to rely on unhealthy habits to make it through the day. Here are seven easy ways to prevent caregiver burnout. Make sure to take a few minutes of every day to take care of your own needs. You could spend 10 minutes watching funny YouTube videos, read a chapter of a book, or go for a walk outside. This time alone provides the chance to re-energize and return to your caregiving tasks with a new sense of purpose. 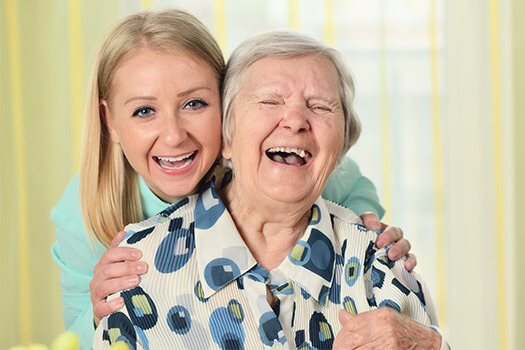 If you are the primary family caregiver for an elderly loved one and need additional assistance providing high-quality home care, Huntington Home Care Assistance can help. We are a leading home care agency committed to changing the way seniors age. It’s all too common for caregivers to withdraw from their former social life. However, this is a mistake, as caregivers need all the support they can get. A weekly meetup with a friend can be an effective emotional outlet for stressed out caregivers. Be aware of your own limitations, and ask for help when you can’t do everything yourself. Keep a journal of your daily tasks and responsibilities to find out how much you can handle. Note when the workload felt reasonable and when it felt draining. You can use this journal to find out where you’re falling short, and then you should ask other family members to help. For example, if you don’t have time to cook dinner on Tuesdays because that’s when your loved one has a weekly doctor’s appointment, ask a family member to make dinner every Tuesday. A strict routine is good for seniors and their caregivers. It gives caregivers a daily guideline to follow, and it provides seniors with a sense of security. Find a routine that works and stick to it. When the rigors of caregiving get to be too much, turn to in-home respite care. Experienced caregivers come to your loved one’s home and provide high-quality services for an allotted time, which gives you some time off to do grocery shopping, go to the gym, or see friends. There are a variety of reasons family caregivers should consider respite care. Huntington, WV, families often have additional responsibilities that make it more challenging to provide the care their senior loved ones need and deserve. A professional respite caregiver can take over your important caregiving duties, allowing you more time to focus on yourself. There are caregiver support groups in almost every community. They provide busy caregivers with a built-in support system, as well as the space to vent about their frustrations. New caregivers can benefit from the advice of experienced caregivers, and experienced caregivers often enjoy the opportunity to discuss their emotions with people who understand. Education is important for every type of caregiver. For example, caregivers tending to a senior loved one with dementia need to understand how the disease manifests and how it progresses. Caregivers tending to seniors with physical limitations need to know the best ways to help them get around. By staying educated, you can cut down on anxiety-inducing situations, leading to increased peace of mind for both you and your loved one. If you are caring for a senior loved one and are feeling overwhelmed, consider hiring a professional caregiver who can help your loved one manage the various challenges of aging. Aging in place can present a few unique challenges for older adults. Some only require part-time assistance with exercise or meal preparation, while others are living with serious illnesses and benefit more significantly from receiving live-in care. Huntington, WV, Home Care Assistance are leaders in the elderly in-home care industry for good reason. We tailor our care plans based on each senior’s individual needs, our caregivers continue to receive updated training in senior care as new developments arise, and we also offer comprehensive care for seniors with Alzheimer’s, dementia, and Parkinson’s. To learn about our high-quality senior care plans and revolutionary at-home care methods, give us a call at (304) 521-2909 today.